If you plan to rob those Spanish galleons of all they are worth, you had best not be afraid to cut a few throats. The Diego LARP Sabre is just what any scallawag needs before setting sail on the seven seas to do some plundering. This LARP weapon is made from a specially designed latex-free, injection-molded foam with a strong fiberglass core. This core ensures that it is both extremely durable and flexible while still remaining safe for use in LARPing, theater, staged events, and more. 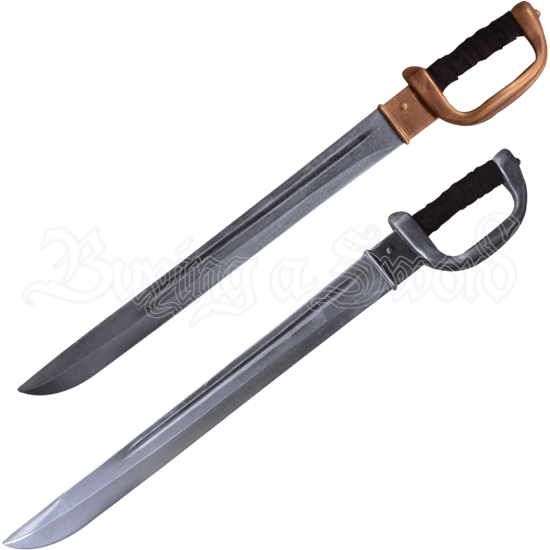 This classic cutlass comes in two colors - light steel with a grey hilt and dark steel with a gold hilt. The handle is wrapped in leather for easy gripping, and the fingers are protected by a traditional D-guard. 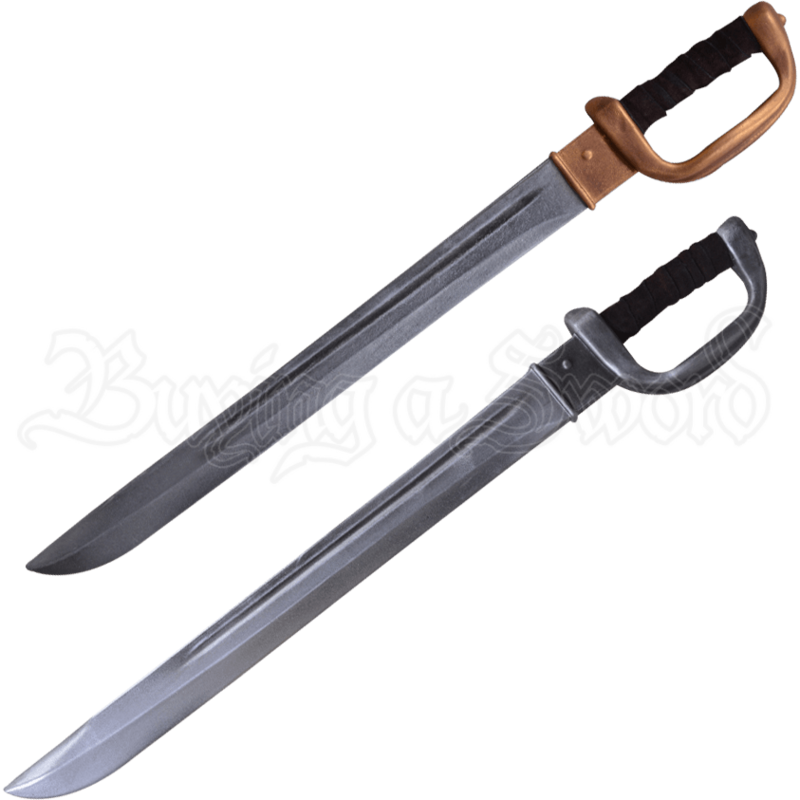 The Diego LARP Sabre is the perfect weapon for any seafaring LARPers, but it also looks great in land-based roleplay as well.